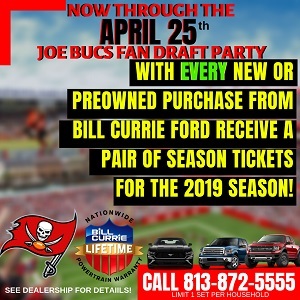 Use your “JOEBUCSFAN” discount code to save. Fan Retreat is your home for all event tickets, travel, hotels and more. Check their rates against the other secondary market ticket outlets. Thanks, Matt. Fan Retreat was made aware of this.